A lot of homeowners are tempted to procrastinate when it comes to cleaning their carpets. It’s a big job to do yourself, and can be an expensive job to have professionals do it. 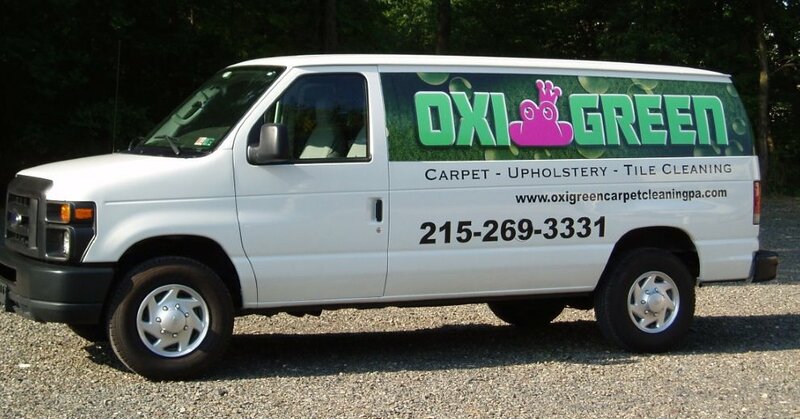 We are happy to say that this is right where OxiGreen Carpet Cleaning comes to your rescue in Langhorne, PA! We are a local carpet cleaning company with a great reputation and a great 100% satisfaction guarantee. Furthermore, we have a couple of great money saving carpet cleaning packages that will make it affordable for you to save yourself the time and energy and back-breaking labor and let our professionals clean your carpets for you! For instance, OxiGreen in Langhorne, PA offers a spectacular 5 room plus 1 hallway carpet cleaning special for only $191! Our IICRC trained and certified technicians will bring our top quality, truck-mounted carpet cleaning equipment to your home, move your lightweight furniture and do a carpet inspection for you. We will identify and pre-treat any stains or trouble spots, pre-condition the carpeting, clean it and vacuum it when we are done. Our powerful equipment coupled with our 100% green cleaning agents will do an excellent job of removing the debris that gets stuck deep in you carpet fibers, not just the dirt on the surface. Because we never use any harsh chemicals, there is not chance that we will damage your carpet fibers or leave behind any toxic residue that could threaten the well-being of your family members. For a great 5 room/ 1 hallway carpet cleaning special, please call OxiGreen at 215-269-3331 or visit us online at http://oxigreencarpetcleaning.com. We are happy to answer questions about our company or our process or find out about our other package deals. We would love to come out and offer you a free in home carpet cleaning assessment and a free quote.